The SeaLife Flash Link is an optical cable connection for all SeaLife flashes that ensures firing of the flash in all light conditions as well as flash aiming positions providing brighter more colorful pictures. 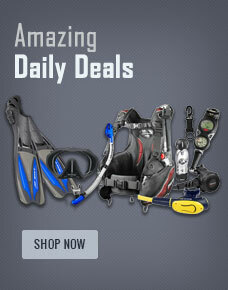 Buy Sealife Flash Link Optical Cable with Velcro ties from Divers Supply at the best price. Sealife Flash Link Optical Cable with Velcro ties comes with full Manufacturers warranty because Divers Supply is an authorized dealer for everything we sell.